This is a fascinating group of spiders, and there’s so much I could tell you about, but I’ll keep it short! 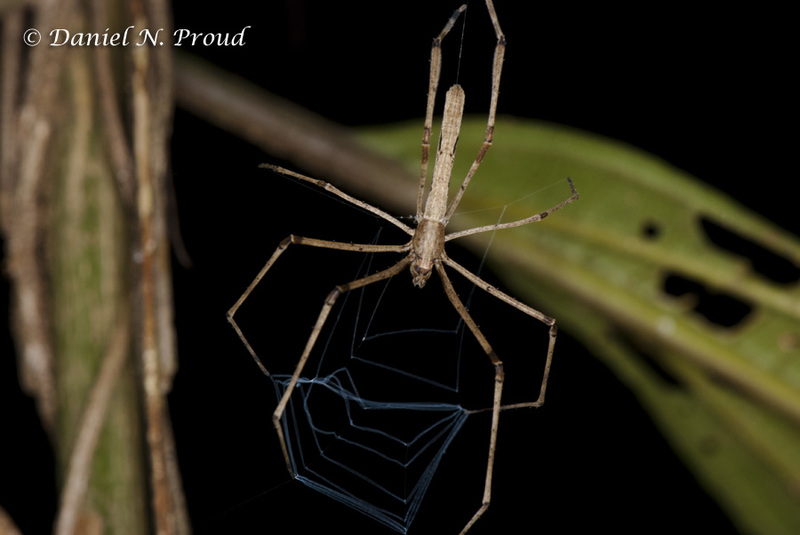 The net-casting spiders belong to a small family (~60 species in 4 genera) of cribellate spiders named Deinopidae – from Greek deinos + opsis, meaning “terrible appearance”. They are distributed worldwide with the majority of species being found in tropical and subtropical regions. Spiders of this family are also often called ogre-faced spiders – I suppose because an ogre’s face also has a fearful appearance. But also because these spiders have an excessively large pair of median eyes while the other six pairs are significantly smaller. Although its creative, honestly I think its a bit of a stretch to say they have a similar appearance to an ogre (but then again, I’m no expert on ogre morphology). 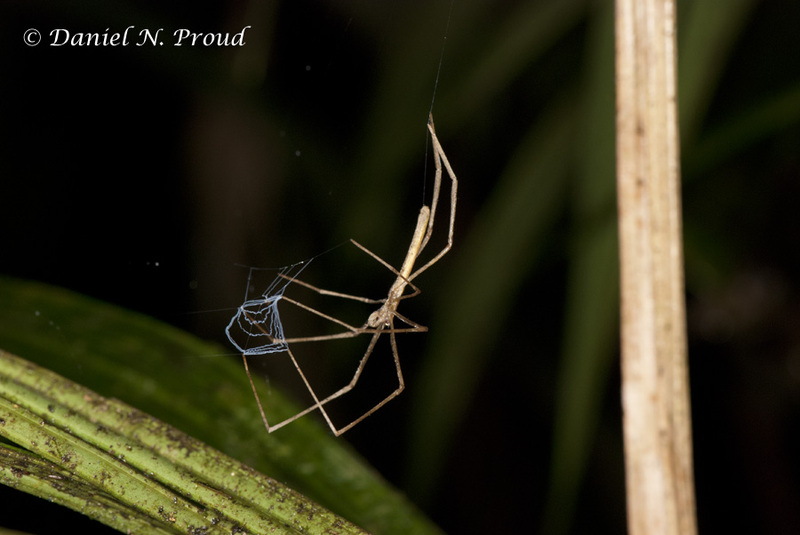 The really remarkable thing about these spiders is their unique behavior for capturing prey! In order to catch prey these spiders spin a web, the “net”, that is held between the first, second and third pairs of legs. The spiders dangle from a strand of silk attached to something above (say, a small branch). Ogre-faced spiders have great night vision with their large pair of eyes. When a suitable prey item, usually some insect, wanders below, the spider drops down, stretches the net and casts it over the unsuspecting prey to ensnare it. Finally, the spider delivers a venomous bite to subdue the prey. Keep in mind that although venomous, these spiders are not considered dangerous to humans! 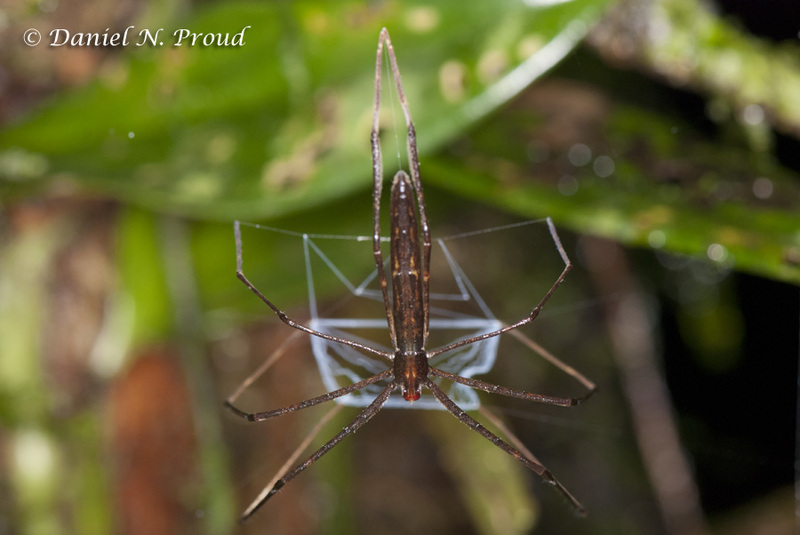 Check out these great spiders below! Both species were photographed in Costa Rica. It’s also amazing how these spiders just seem to disappear during the day! They hide under leaves and in dark crevices. But its no surprise how cryptic they can be after you observe one nearly disappearing right in front of you! 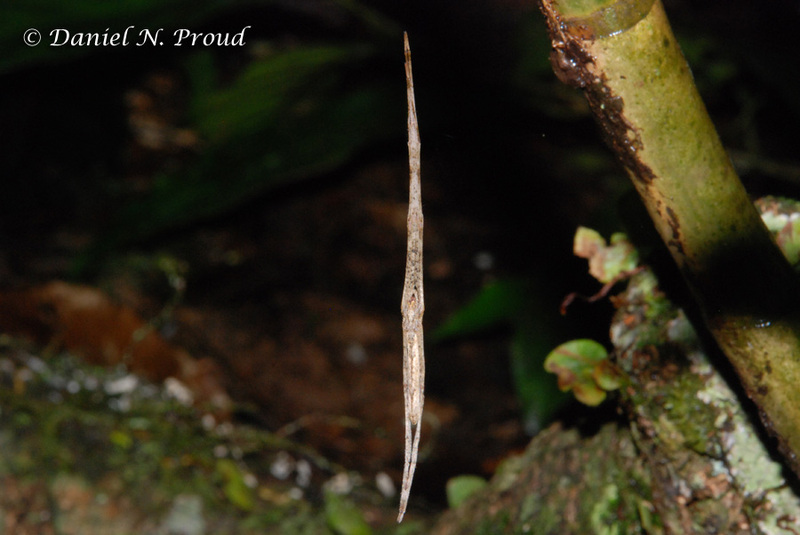 Accidentally spook them while they’re waiting to capture prey and they will pull all their legs appearing as if they were just a small stick (below). Incredible! This entry was posted on July 12, 2012 by Dan Proud. It was filed under Arachnid and was tagged with Araneae, Costa Rica, Deinopidae, Macro, macrophotography, nature, Spider.